Jeff Springer was born in a virtually abandoned town in the California desert, raised in Hawaii, and educated at USC Film School. 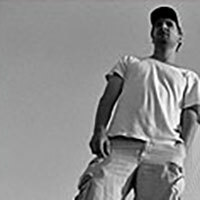 After living for a winter in Russia, he returned to Los Angeles to begin directing music videos, shorts, and editing for UPN, Fox, Geffen Records, and Lucasfilm. Burned out and hung over, he eventually fled to San Francisco to start work on Plagues & Pleasures. He now lives somewhere between San Francisco, London, and Berlin. Plagues & Pleasures on the Salton Sea premiered at the Slamdance Film Festival and later won both the HBO Producer's Award and the Robert Altman Award.